Nick Ashbaugh celebrates after scoring a point against the Woodcreek Timberwolves Wednesday night at Nevada Union High School. The Miners beat the Timberwolves in straight sets. 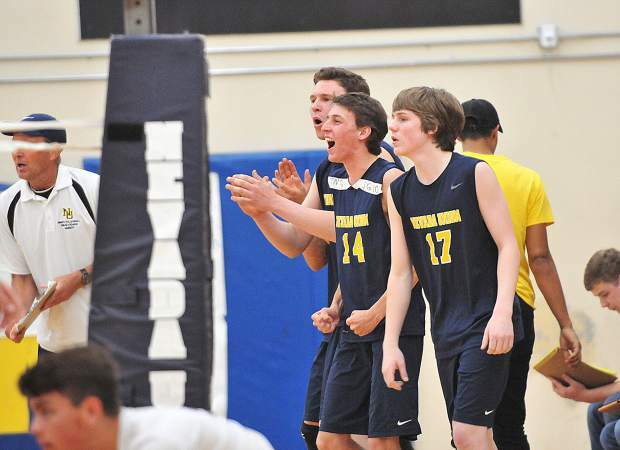 The Nevada Union boys volleyball bench congratulates their teammates after scoring a point during Wednesday's win over the Woodcreek Timberwolves. 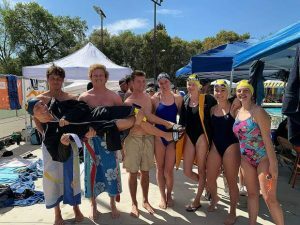 Nevada Union's Nick Ashbaugh was impressive in a pair of league wins this week. 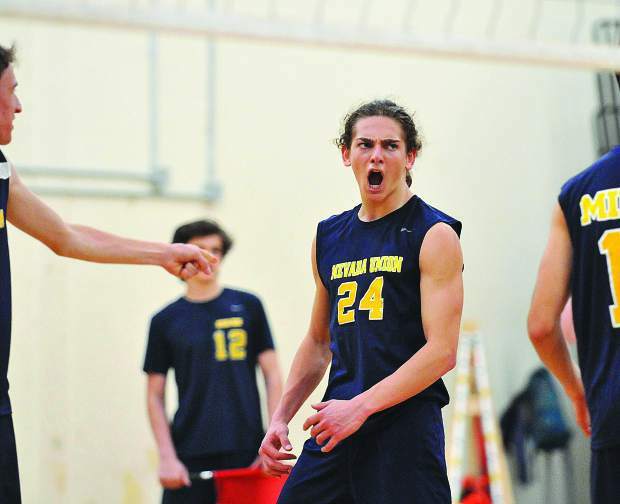 The senior outside hitter led the Miners in kills with 10 in a win over Del Oro Monday, and then hammered down 17 kills in a victory over Woodcreek Wednesday. 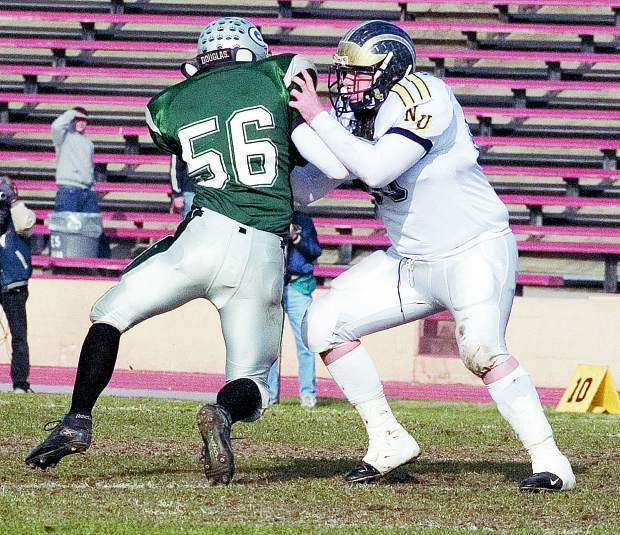 Nick Ashbaugh spikes the ball against the Woodcreek defense during Wednesday night's win at Nevada Union. The Union's Tanner Quiggle (22) and Ibrahim Torkman (8) score a point while making a block against Woodcreek Wednesday night at Nevada Union High School. 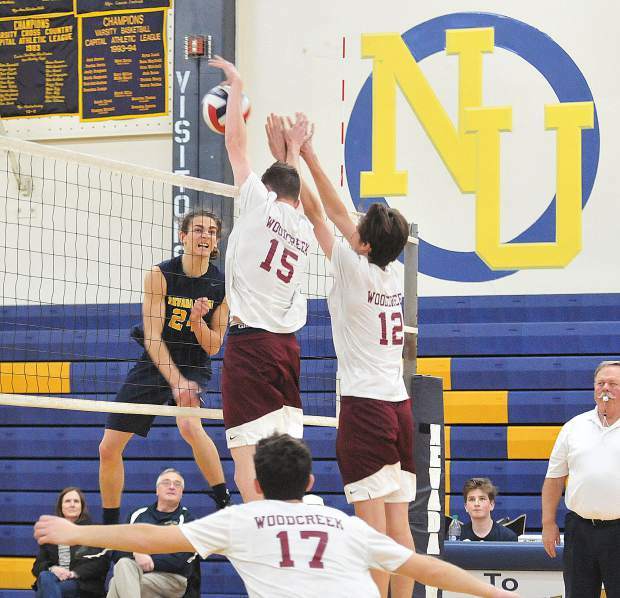 Nevada Union High School junior Jordan Mills readies to spike the ball over the net during the Miners' league win over the Woodcreek Timberwolves Wednesday night at the Albert Ali Gymnasium. 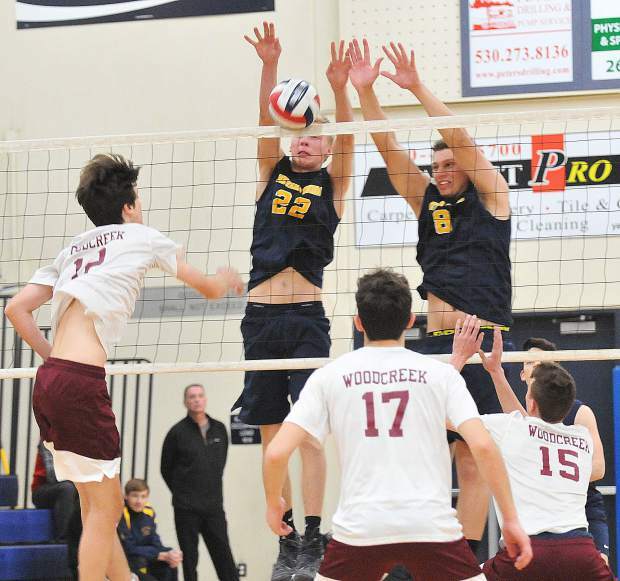 The Nevada Union boys volleyball team avenged their only league loss of the season Wednesday, knocking off Woodcreek in a bout between the top two Sierra Foothill League teams. Playing in the friendly confines of Albert Ali Gymnasium, the Miners made quick work of the Timberwolves, winning in straight sets, 25-22, 25-22, 25-21. 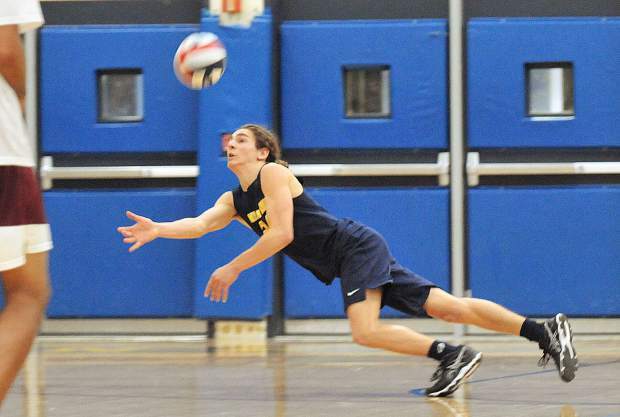 Leading Nevada Union’s attack was senior captain Nick Ashbaugh with 18 kills. Jordan Mills added 10 kills. Tanner Quiggle and Ibrahim Torkman each added six kills. Setting the NU hitters was Sam Hales and Trevor Johnson with 27 assists and 16 assists, respectively. Defensively, Preston Newak led the Miners with three blocks. Mills and Joey Cena led the team in digs with 11 and 10, respectively. 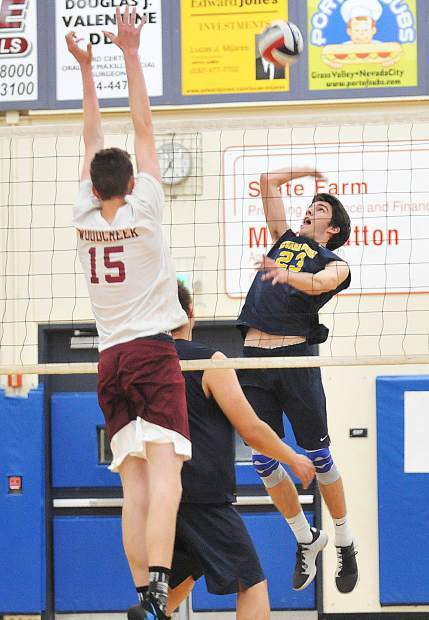 The Miners had dropped their first matchup with Woodcreek, a five-set loss March 19. 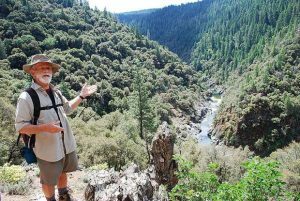 Wednesday’s win moves Nevada Union (17-2, 8-1 SFL) into a tie with Woodcreek (12-3, 8-1 SFL) atop the league standings. Next up for the Miners is a tournament at Granite Bay Saturday. After the tourney the Miners head down the final stretch of league play, facing the Folsom Bulldogs at home Monday, the Granite Bay Grizzlies on the road next Wednesday and closing the regular season April 30 at home against the Oak Ridge Trojans.